One of Daro's latest designs in their outdoor collection, the elegance of this design is equally suited to both indoor and outdoor use. 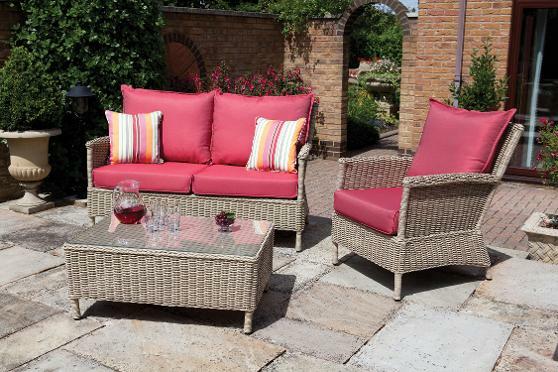 Inspired by Daro's knowledge of cane furniture design and using a unique Natural Effect Rattan, this range will enhance any location. The set comprises of chair, 2 seat sofa and coffee table, complimented with a matching dining range. The cushions for this new addition feature drop boarder design style bases with flat edged pillow backs. Available in any fabrics from within the indoor or outdoor collection makes this set quite unique.